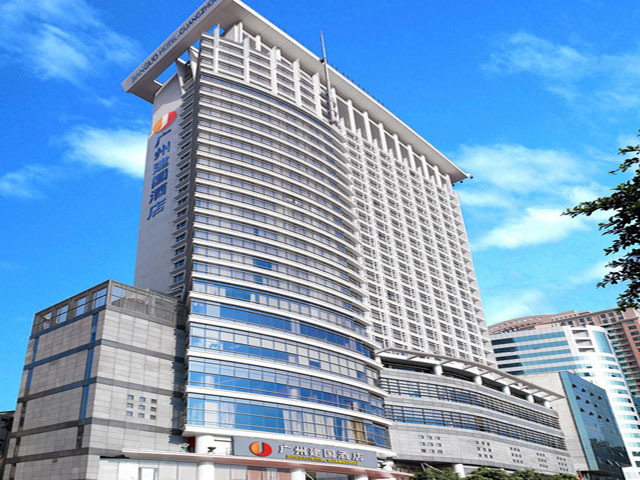 Opened in 2003, the Jianguo Hotel Guangzhou(Tianlun International Hotel), is a luxury downtown 5-star hotel located in the heart of Guangzhou's commercial district, Tianhe District. The hotel is without doubt an ideal destination for business travelers: within walking distance to Guangzhou-Kowloon Railway Station and MTR station; 20 minutes to Canton Fair Pazhou Complex and 50 minutes to the Guangzhou New Baiyun International Airport by hotel complimentary shuttle bus and nearby MTR. The Guangzhou Tianlun International Hotel boasts its 28-storey prestigious building with 400 luxury guest rooms, a breathtaking view of the East Station Concourse Garden and A breathtaking view of the East Station Concourse Garden, tastefully furnished rooms embrace both original art nouveau style with the most modern technology and facilities. There is a fully equipped business center with private meeting rooms, secretarial services, interpretation and translation, facsimile and telex, photocopying, word processing, courier services, Internet and E-mail services. Different conference rooms and other facilities are also available. Comfort, technology, efficiency and security, combined with ingenious interior design in Tianlun International Hotel, Guangzhou, will make your visit pleasant and memorable. The hotel has 28 stories with 400 guest rooms, of which the 14th, 16th, 23rd,24th are the non-smoking stories.It is about 31 sqm for the standard and superior room, 45 sqm for the deluxe room, 65 sqm for the business suite, 62 sqm for the executive suite, and DVD is offered in the business suite and the executive suite. All the room can offer complimentary board-band Internet access. 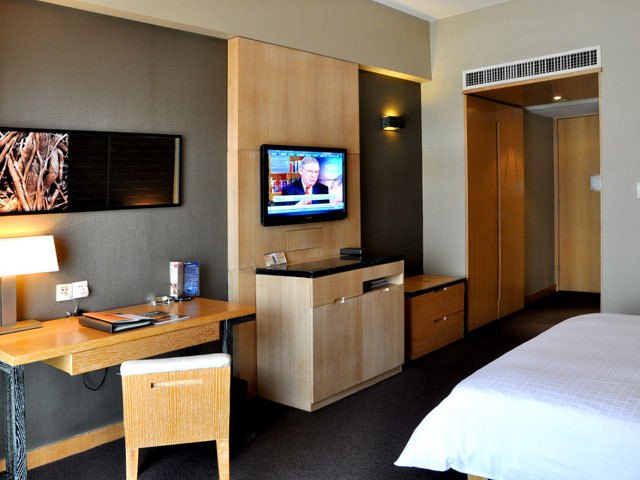 There is no difference between standard room and superior room regarding the facilities and decoration. At normal period, the standard rooms refer to the rooms with residential area view, the superior rooms refer to the rooms with a beautiful square view. During the period of Canton Fair, the hotel regards the rooms below 10th floor as standard room and above 10th floor as superior room.